Who and What influenced Robert Lowell? Upon studying Robert Lowell’s distinguished body of poetry, one subconsciously adopts an overwhelming sensation of pity, reverence, and bewilderment concerning his oh-so deranged verses. His early work, found within Lord Weary’s Castle and Land of Unlikeliness, exe­mplifies his “symbol-studded, ambiguity-laden, highly artificial style of American modernism, as he had learned it from poets such as Allen Tate, his first literary mentor” (Kirsch, 2008, p. 1). Through this conservative approach, Lowell seldom veers from the narrow scope of the Puritan legacy. Nonetheless, his most coveted creation, Life Studies, introduces a bemusedly dramatic, yet abrupt, advancement in style. Consequently, he reinvents himself as both a man and a poet by establishing an original, conversational mix of free and metered verse; he “candidly describes growing up in Boston, his difficult relations with his parents, and his attitudes towards his relatives and ancestors. The book’s poems also reveal intimate details of the poet’s private life, his breakdowns and hospitalizations” (Hart, 1985, p. 751). The outlandish expressions of utter misery, “I myself am hell,” “My eyes have seen what my hand did,” and “My only thought is how to stay alive,” summon the queries: What possibly could have inflicted so much turmoil upon his existence? What message does such a striking transformation convey? Unfortunately, a one-dimensional explanation may not be tangible; rather, his dispirited soul falls victim to the ruthless lineup of villains that internally burdened his existence. The earliest, and perhaps the most prominent, influence upon Lowell dates back to his upbringing. He grew up in Boston under the reign of his apathetic father and haughty mother; both of whom took tremendous pride in their respective, equally distinguished, family roots. Throughout his childhood, they relentlessly thrust their firm Puritan beliefs and traditions into his naïve, conditioned psyche. Consequently, repression and isolation enveloped the young Robert Lowell. With great resentment and extraction, Lowell consistently unleashes his overpowering feelings of deprivation through his “confessional” poetry: “several of the works deal with Lowell’s reminiscences of childhood and include often unflattering portraits of his parents and grandparents” (“Robert Lowell: The Poetry,” n.d., p. 3). Nonetheless, the approach to his emotional liberations evolves vividly. Largely at fault to aversion held against his parents, Lowell eventually rebels against their religious manipulations by converting to Roman Catholicism. Through his conversion, he adopts and embraces a familiar darkness toward the Puritan community. In his poem “Children of Light” he expresses his bitterness: “And light is where the landless blood of Cain/ Is burning, burning the unburied grain,” suggesting the poison and corruption inflicted upon the “unburied grain” (symbolizing the naïve and impressionable youth) that results from a Puritan upbringing. He sympathizes with the aforementioned victims due to the parallel “burning” he endured from his parents. In addition, Lowell’s conversion to Catholicism marks the turning point in his career. The diversion from his familial wounds. The barrier between his formal and conversional verse. Freedom. In such an effort, he acquired inspiration from the significant friendships he maintained with peers Elizabeth Bishop and William Carlos Williams. Elizabeth Bishop introduced Lowell to many techniques he later adopted as his own: “Her rhythms, idiom, images, and stanza structures seemed to belong to a later century. [Lowell’s] ‘Skunk Hour’ is modeled on [Bishop’s] ‘ The Armadillo’ … Both use short line stanzas, start with drifting description and end with a single animal” (Schwartz, 2004, p. 121). These techniques, amongst others, become fundamental in Lowell’s “confessional” poetry. Likewise, Lowell looked to William Carlos Williams – “whose plain syntax and short lines could capture American English as it is actually spoken” – for the tools necessary in breaking the barrier of “impersonality” (Kirsch, 2008, p. 2). Nonetheless, both Bishop and Williams found inspiration in Lowell’s bold approach to literature. Life Studies palpably models the fruitful culmination of his pursuit of raw biography. However, exactly what techniques did Lowell employ in order to accomplish said objective? To accompany Lowell’s tactful purpose, he artfully establishes a parallel between form and objective. He carefully selects his literary techniques based upon his desired effect - resulting in the subtle delivery of his internal being upon his victim. In contrast to his freshly adopted, loose style; he could merely long for a life free from captivation. Instead, his chronic-depression and deep familial issues kept his life anything but “free.” Thus, he turned to poetry to escape from confinement – where he subsisted vicariously through the infinite boundaries of each stanza. Furthermore, Lowell’s illusion of freedom invites the use of ambiguous, unconventional punctuation, intentional spelling errors, rambling thoughts, and the shameless liberation of each and every one of his concealed emotions. The use of ellipses also plays a significant role in Lowell’s purpose and overall effect: they symbolize the perpetuity of his instable state, as well as that of his bottomless fantasies. In one of his most famous poems, “Skunk Hour,” he writes, “’Love, O careless Love . . . .’ I hear/ my ill-spirit sob in each blood cell/ as if my hand were at its throat . . . ./ I myself am hell.” This stanza tremendously displays Lowell’s unique free verse; he utilizes ellipses, personifies his “ill-spirit,” and ultimately conveys a tone of utter depression. Motifs are also amongst the weapons within Lowell’s arsenal of literary techniques: “the failure of sight means that we must operate only in the radically circumscribed territory of the adjacent, the near-at-hand, and the private: that the private life might constitute out only conceivable ‘masterpiece’” (Chiasson, 2004, p. 157). Images such as “One dark night,” “whiskey-blind,” and “risen from the blindness” suggest the archetypes sight and darkness, and govern the ultimate effect of Lowell’s bleak poetry. Above all, though, Lowell took the concept of “free-verse” to a more literal degree than any of his forerunners had. Each of his poems presents a unique dominant technique; therefore, distinguishing a few “dominant techniques” from Life Studies proves quite challenging. Robert Hahn (2005), a poet himself, asserts in an essay of his: “what mattered was the brilliant counterpoint of street-talk rhythm and bass-line meter, the mix of quick slashing gestures and tight chiseled stanzas, the melding of a disarmingly casual manner with a solid formal understructure” (p. 481). Moreover, the sense of spontaneity in Lowell’s verses drives the prevalence of his autobiographical free verse – instead of one specific literary technique. 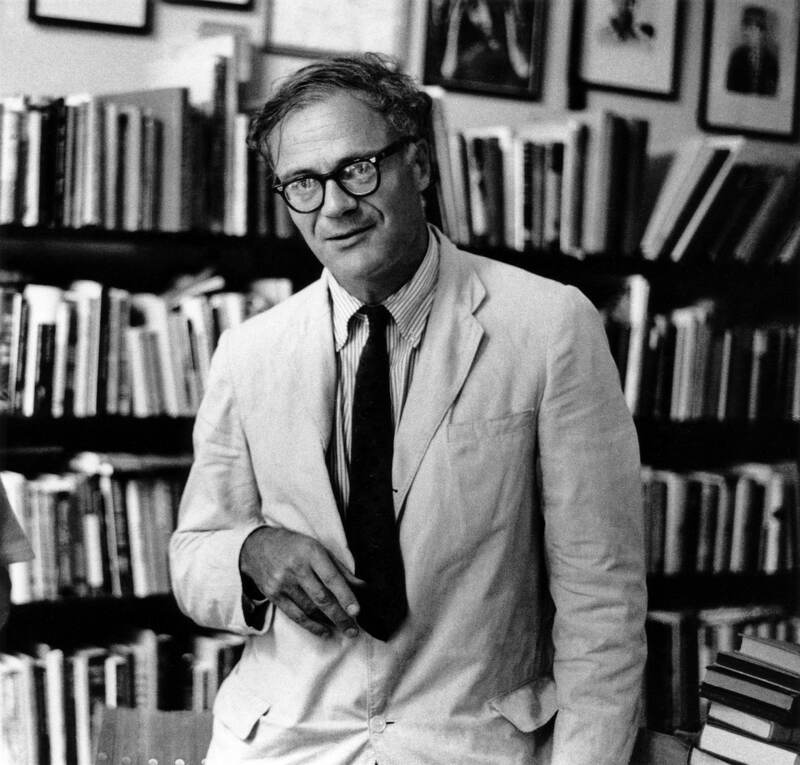 Once one discerns the influences upon Robert Lowell’s mid-career shift in style, another question rises to prominence: What really makes Lowell’s autobiographical style so revolutionarily different? A journey through Life Studies should clarify. The first section of the book, which contains “some of the ‘messy poems’ he had written during his fallow period, the products of his exhausted early style,” reminds one of the extent at which he has mastered the scintillatingly formal verse he plans to put behind him (Kirsch, 2008, p. 3). The very first poem, “Beyond the Alps,” perceives a train ride from Rome to Paris through the Alps, Everest, and utilizes his erstwhile verse. However, the distinction from its predecessors lies within its final couplet: “Now Paris, our black classic, breaking up/ like killer kings on an Etruscan cup.” The ambiguous ending - ensuing a vibrant, well-defined poem - foreshadows and provides a mere taste of what the rest of Life Studies holds: a plethora of ambiguity. The fourth and final section of the book houses the poems of real significance to Lowell’s legacy. His poem, “My Last Afternoon with Uncle Devereux Winslow,” which kicks off the section, begins with the line: “I won’t go with you! I want to stay with Grandpa!” The narrator’s hopeless expression replicates the raw emotion Lowell sought with his new style; “it is a child’s guileless cry, which could never have been accommodated in the style of Lord Weary’s Castle. But it is also a hint of the defiance to come. For it is the poet’s own voice we are hearing, and his preference for his grandfather over his parents is a symptom of domestic misery” (Kirsch, 2008, p. 3). In addition, it introduces the motifs of depression and irritation – which prove central to the book’s ultimate narrative effect. As the section progresses, though, Lowell’s chronic-depression shines through radiantly. “Sailing Home from Rapallo” sets the stage for the many scenes of mental collapse to come: “The corpse/ was wrapped like panetone in Italian tinfoil,” suggests his revelation of the lack of grief he feels towards his mother’s death. His realization fills him with regret, as he feels like the guilty party in their distant relationship. Moreover, one of his more famous poems, “Walking in the Blue,” further conveys the severity and complexity of Lowell’s mental state. The final line, “We are all old-timers/ each of us holds a locked razor,” stands out because “it leaves the threat of suicide to echo in the silence, [and] shows how much of the power of Life Studies is owed to indirection and implication.” (Kirsch, 2008, p. 7). Additionally, it confesses Lowell’s mentally unstable state – perhaps, even a cry for help. His poems “Man and Wife” and “Home After Three Months Away” serve very comparable purposes. The allusion to the tranquilizer “Miltown” and the presence of the archetype of red further suggest the turmoil that confines Lowell. Ultimately, a meticulous examination of Lowell’s objectives and stylistic decisions throughout Life Studies provides a clear narrative elucidating (to the greatest extent possible) the complex mind of Robert Lowell. Chiasson, D. (2004). Reading “Blizzard in Cambridge.” Salmagundi, 141, 156-158. Eliot, T. S. (1921). Tradition and individual talent. New York, NY: The Sacred Wood. Hahn, R. (2005). Lowell in perspective. Sewanee Review, 3, 478-485. Hart, H. (1985). Robert Lowell. Research Guide to Biography & Criticism, 2, 750-753. Kirsch, A. (2008). Reconsiderations: “Life Studies” by Robert Lowell. The New York Sun. Schwartz, L. (2004). Dedications: Lowell's “Skunk Hour” and Bishop's “The Armadillo.” Salmagundi, 141, 120-124. Robert S. Marcus graduated in 2017 with a Bachelors degree in Advertising from St. John's University in Queens, NY.